There are several ways to avoid car repossession, and some can be employed even after a loan has already been sourced. It is best to avoid repossession by electing a loan that will work for your unique situation. If your situation changes, though, and you can no longer make payments, there are still strategies to consider. 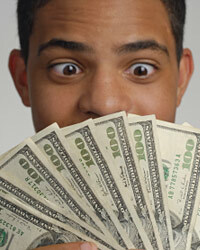 Many borrowers shop for a car and then seek a loan. This means they are more likely to purchase outside of their reasonable budget. If you do this, you also run the risk of taking a less favorable loan. You will be on a tighter time schedule. For example, you will be more likely to speak with the car dealer directly and take the first loan option. Borrowers who speak to multiple lenders, such as banks and alternative lenders, will typically do more research and negotiate better deals. It sounds simple, but too few borrowers actually budget for a loan. It can be hard for a person to know exactly what he or she can afford in car payments. Use this simple tip: your total debt payments each month should be less than half your monthly income. So, you can add up your rent or mortgage, student debt and other payments, and then determine how much room you have for a car payment. After you have already taken you loan, you may find a situation occurs that rapidly changes your ability to pay. Examples include loss of job, injury or illness. If you experience this type of hardship, contact your lender immediately. You may be able to defer loan payments until you have recovered from the emergency. Lenders are less responsive to your requests if you wait until you have missed a payment. Sometimes, the change in spendable income on your end will be permanent, and you will find deferment is not enough. In this case, you can pursue refinancing to locate loan terms that meet your new situation. Refinancing with the current lender you have will present fewer penalties. However, you can also take a wholly new loan from another lender. Using this loan to repay your initial loan, you will completely get away from the loan you could not afford. Refinancing with a third party does present some penalties including a drop in your credit score. When facing default, your options to defer or refinance will be slim. You have already missed several loan payments by 90 days or more, and your lender has notified you that repossession is likely. The last effort on your end should be to request forbearance. Forbearance means the lender agrees to stop enforcing the repossession while you attempt to bring your loan current. Forbearance is a good option if you lost your job but recently found a new source of income. Like all loan modification options, it is best to contact your lender and ask for forbearance prior to officially entering default and repossession proceedings. Once you have failed to respond to multiple attempts by your lender to contact you, it is far less likely for you to receive the option.